In this guide, you will learn how to install an SSL Certificate on CentOS. Since no SSL installation goes without a certificate signing request, we’ve also included step by step instructions on how to generate a CSR code in CentOS. For the most curious minds, we’ve added a historical overview of CentOS. And, if you don’t know where to buy an SSL Certificate for CentOS, stick till the end to find the best place and searching tools for your ideal certificate. How to generate a CSR code in CentOS? 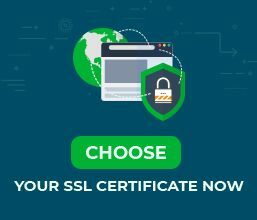 Where to buy an SSL Certificate for CentOS? Note: If you’re applying for a Wildcard SSL certificate, you must add an asterisk in front of your domain name. For example, *ssldragon.com. Do not include “https” or any other characters in this field. Password – This field is optional. You may further secure your SSL certificate with a password, or you can leave this field blank. That’s it. Your CSR code is ready! You can find it in your working directory with the “ls” command. The two new files are yourdomainname.csr, and yourdomainame.key. The .csr file contains the certificate signing request that you’ll need to submit to the Certificate Authority when ordering your SSL Certificate. Next, we’re going to install an SSL certificate on CentOS. Using the method below, you can install an SSL certificate on CentOS 7 & 6. SSLCertificate ChainFile – The intermediate bundle path. SSLCertificate Path – The intermediate bundle path. Here’s an example of your certificates’ absolute file path. You can copy-paste the code below, but make sure to specify the correct names of your files. Save your configuration and restart Apache to complete the SSL installation. CentOS stands for Community Enterprise Operating System, a Linux distribution that offers a free, enterprise computing platform to desktop computers, workstations, mainframes, and servers. The first CentOS version, released on May 14, 2014 was forked from Red Hat Enterprise Linux (RHEL) version 2.1AS. CentOS stayed with RHEL until January 2014, when it officially joined Red Hat and became independent from RHEL. CentOS 7 – released on 7 July 2014. Supports x86-64 architectures. CentOS provides full updates only for its latest versions, 7.0 and higher. CentOS version 6 receives only maintenance updates, while other older versions are not supported anymore. 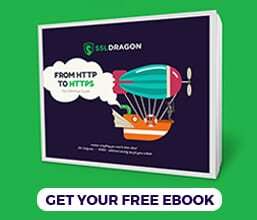 SSL Dragon takes care of your sensitive data security, so your website or business can thrive online!